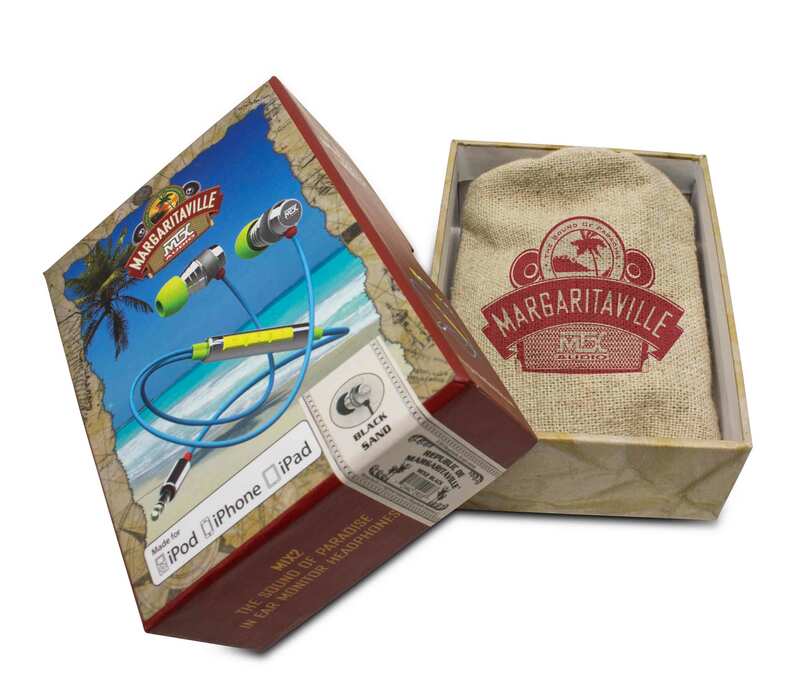 Phoenix, AZ - May 21st, 2014 - MTX Audio, of the MiTek Electronics and Communications Group, today announced that all models of its MTX Margaritaville Audio on ear and in ear headphones are now in stock and shipping. Margaritaville is one of the most recognizable names in the world today and for 40 years MTX has been engineering and building high performance audio solutions that also have been bringing life to parties, whether in cars, in homes, or boats. The partnership between Margaritaville and MTX is a perfect combination that allows allows everyone to listen to the Sound of Paradise. "I am very pleased to begin shipping these one of a kind lifestyle products to music lovers across the country", said MTX Audio President and Founder Loyd Ivey. "This is my 40th year in the consumer audio industry and I have heard and seen many different speakers in that time. These MTX Margaritaville Audio headphones are one of my favorite products we have ever produced. The sound is better than any pair of headphones I have ever heard and the colors and style are unique and exciting. There is a pair for everyone, no matter what type of music they listen to. Putting on a pair of these headphones allows you to escape to your very own paradise even if only for a short time. I guarantee that anyone that tries these will fall in love and never need another pair of headphones." MTX Margaritaville Audio on ear headphones, MIX1, are available in six differentcolors. Features include 40mm drivers that deliver exceptional bass, daisy chain capability allowing you to share a music source among multiple listeners, a made for Apple® mic/remote, and a drawstring carrying case with a microfiber lining. MIX1 models retail for $199.95 The in ear headphones, MIX2, are available in black and multicolor MACAW. These units feature a dual speaker design that delivers amazing sound quality, a made for Apple® mic/remote, and a a drawstring carrying case with a microfiber lining. MIX2 models retail for $99.95. For more details or to place your order visit margaritavilleaudio.com. For more information, contact us at concierge@margaritavilleaudio.com.